1.3) Fill in the details and Click Signup. 1.4) Check your email to get the activation code. 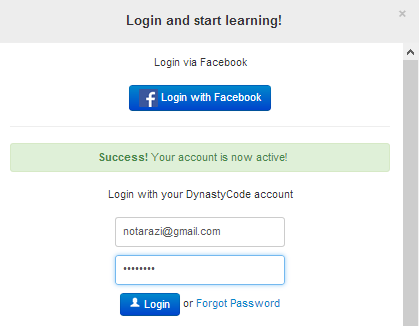 1.5) Your account is activated and you can login now. 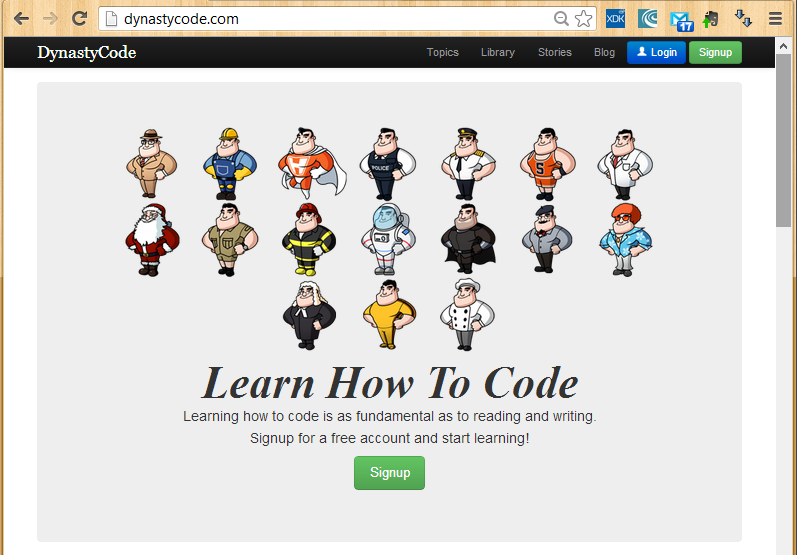 2.1) Upon login, you will get a dashboard menu on top right of the window. 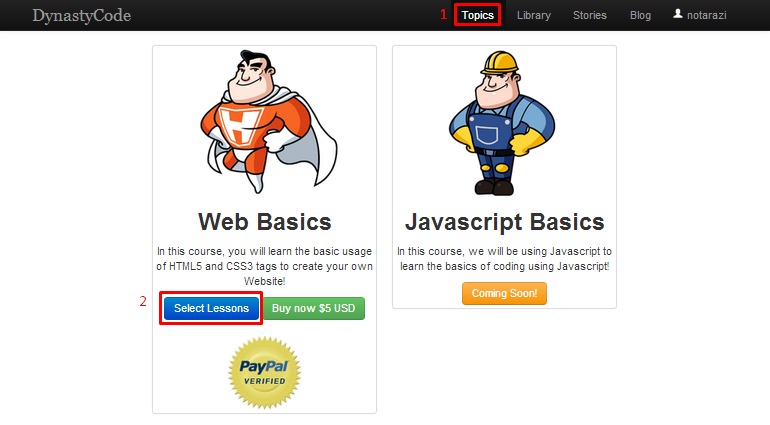 4.1) Click the button to start learning.